Recent release “The Princess's Mirror” from Page Publishing author Lavoria Little-Guy is a creative and engaging story of Laura, a girl with very little to call her own, and her resolve to leave everything behind and seek out the captured princess across unknown lands outside the place she calls home. 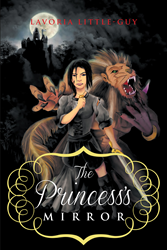 Lavoria Little-Guy, a devoted writer and first-time published author, has completed her new book “The Princess's Mirror”, a gripping fantasy novel featuring Laura’s journey to recover Princess Maria and the many challenges she encounters along the way. Published by New York City-based Page Publishing, Lavoria Little-Guy’s touching tale is a story of bravery, friendship, and self-discovery as Laura not only finds the princess, but also her own identity. When she journeys forth into lands unknown to find her friend, Princess Maria, the peasant girl, Laura, learns about the world beyond her homeland filled with witches, warlocks, queens, kings, and gods. She discovers the good and evil in the world and remains determined to fight for the well-being of the princess and her new friends. Little does Laura know that the gods have a destiny woven for her. Stepping outside the safety of the palace walls is only the beginning for Laura. Readers who wish to experience this mesmerizing work can purchase “The Princess's Mirror” at bookstores everywhere, or online at the Apple iTunes store, Amazon, Google Play, Kobo or Barnes and Noble.